Meatball needed a little help with his manners. 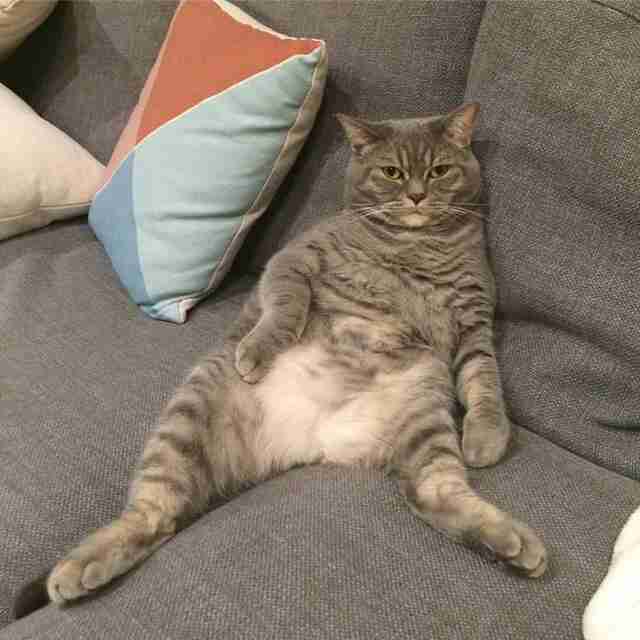 In his younger days, before becoming a parent, Meatball was once a much slimmer cat — but more recently, you might say he's developed a bit of a dad bod. 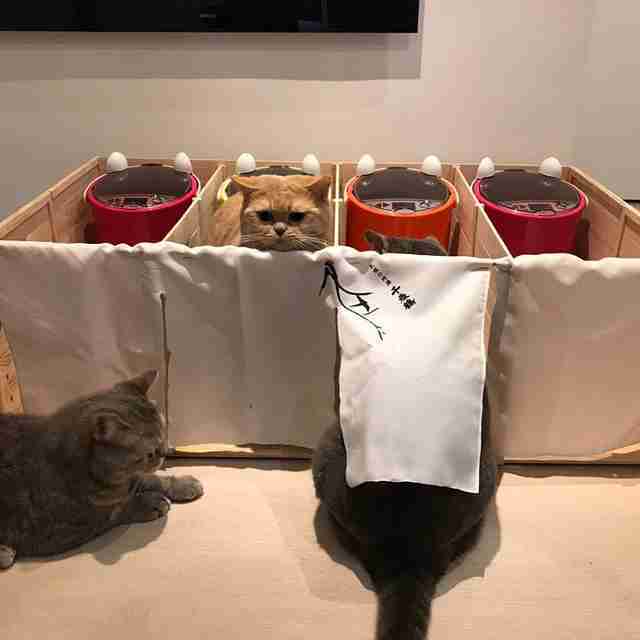 Meatball lives in Hong Kong with his companion, Mochi, and their two kids: Nugget and Pepper. 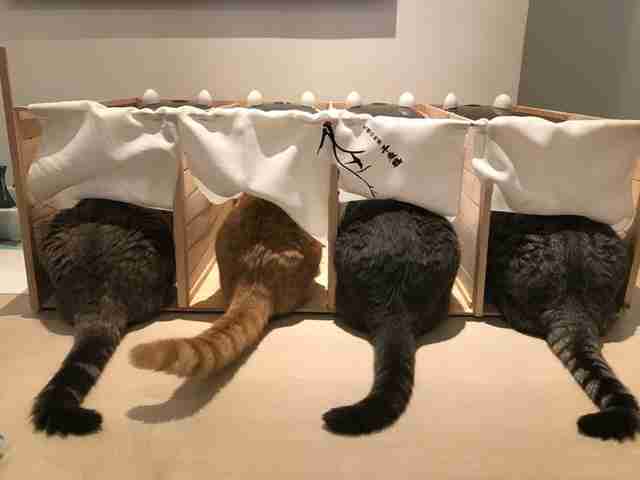 To help raise them, and to keep things neat and tidy, he graciously shares the home with two full-time human assistants, wife Daphnie and husband Koon Wah. 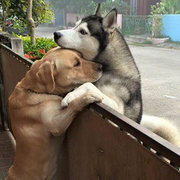 Theirs is a love-filled household based on kindness and sharing — well, except during mealtime. 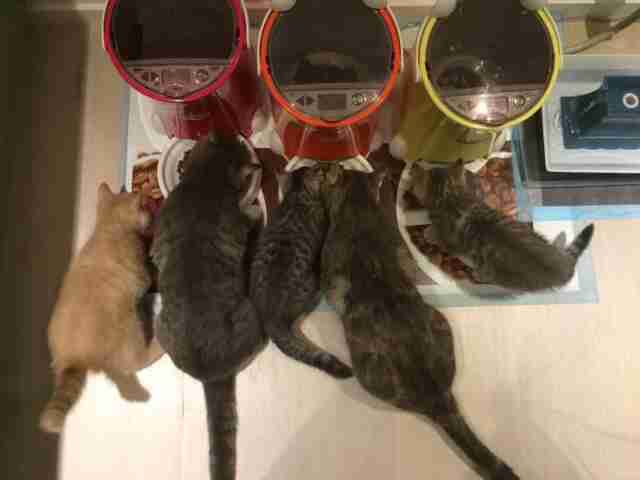 As the kittens got older and moved on to solid food, Daphnie and Koon Wah began feeding the cats all together. Unfortunately, Meatball seemed to think that, with extra food set out for them, it meant he could gobble up more than he had before — and it came at the expense of his kin, and his waistline. To make matters worse, daughter Pepper was picking up Meatball's bad habit, and soon she plumped up too by stealing more than her fair share during mealtime. 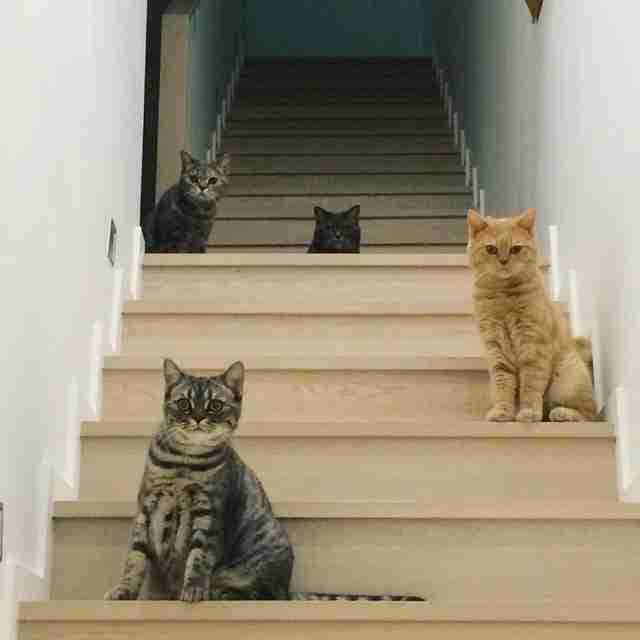 So, faced with the rise of selfishness among the otherwise happy family, their humans decided to intervene. "Koon Wah built partitions to separate them during mealtimes," Daphnie told The Dodo. Initially, the partitions were crafted from cardboard, but Koon Wah later upgraded it using some wood left over from another project. 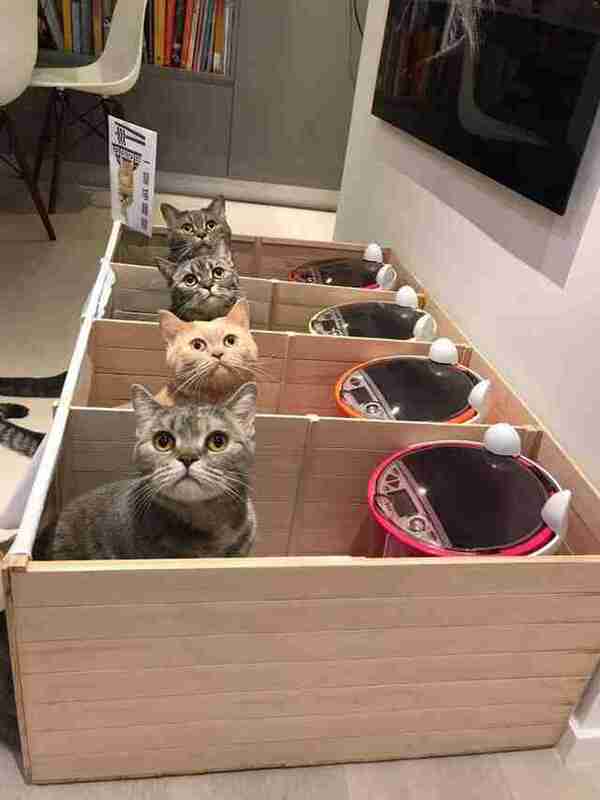 As an added touch, Daphnie adorned the cats' four food cubbies with a decorative flap. "We also had some fabric from some sake wine we bought in Japan and I sewed these to the front of each partition," she said. 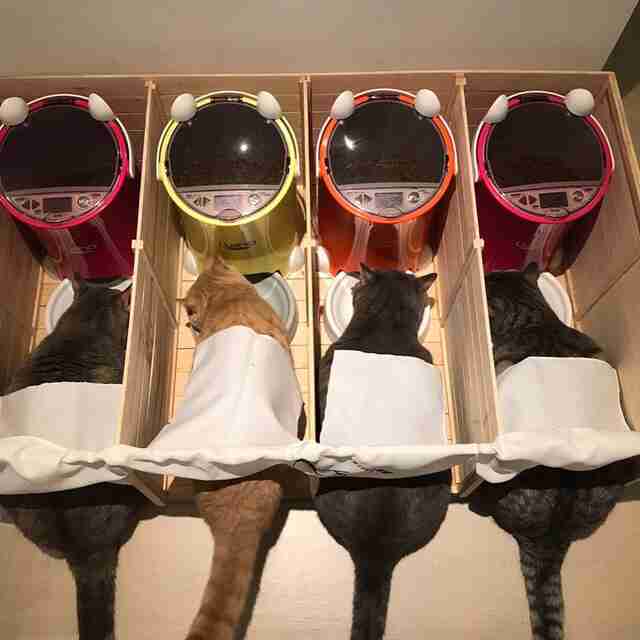 With that, now all four cats had their own private dining space where they could eat their portions in peace. "It has helped a little in terms of separating them during mealtimes but in terms of weight control, Meatball and Pepper are still a little overweight and the chubbier out of the four cats," Daphnie said. 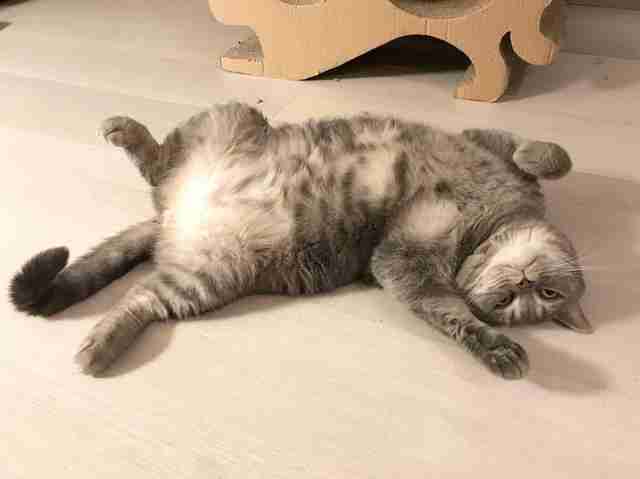 In time, the fat cat dad and his daughter should return to a healthier size — all thanks to Daphnie and Koon Wah's creative solution to keep things fair among their feline family. You can keep up with Meatball and his family's latest adventures by following them on Facebook and Instagram.